Need to kick the creativity up a notch in your classroom? Check out four of my favorite animation apps. They are easy to use and I guarantee that your students will creating with them. 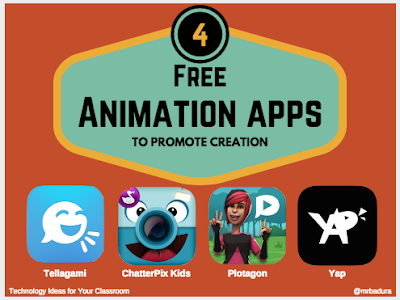 There are so may ways that you can easily integrate these animation apps into your existing curriculum. Tellagami is an oldie but a goodie! Yes, some of the character customization features have been pared back in the free version, but it's still full of potential! Set the background, create your character, record their voice and you are done. Share via Seesaw, Google Classroom, etc. For an extra challenge have your students create multiple scenes with the character and thread them together using the iMovie app. ChatterPix Kids or Chatter Pix can make anything talk! So easy to use. Simply take a photo, draw a line where you would like the mouth to be, record voice and you are done! I like to use this app in the primary grades with the art projects that our students create. Make that turkey, Christmas tree or snowman your students make come to life using this app. Drop your creation into Seesaw, use the QR code creator within Seesaw to create QR codes to hang on the actual art creation! Great to do this right before parent teacher conferences. Plotagon is the most robust of the apps listed in this blog post. I love Plotagon because it is writing intensive. Your students will have to do quite a bit storyboarding prior to creating within the app, but the end result is quite a show! I love the fact that students are able to build scenes in which their characters interact with each other. The only limit with this app is your imagination! Be sure to give @TimElge a follow on Twitter. 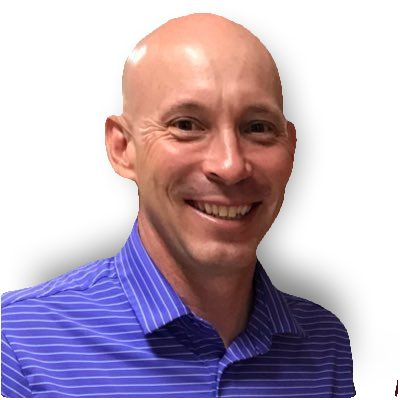 He does some amazing things with his students using Plotagon. Yap is similar to Tellagami, with the exception of customizing your backgrounds, BUT you get a lot more characters to choose from. The app uses facial recognition software to focus on the user's facial movements. If you move your head from side to side, the character you chose does the same. Once you have recorded your voice you can manipulate it. I like this feature because a lot of students don't like hearing their actual voice. Save your products to the camera roll and share however you see fit!